2. 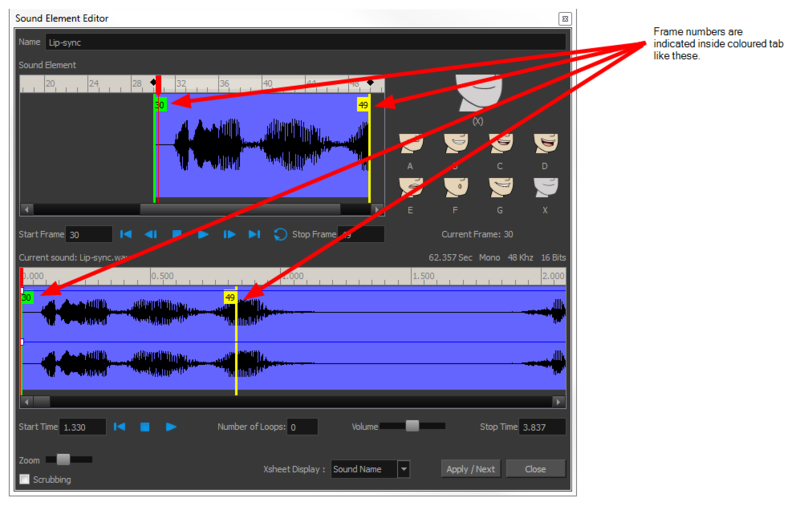 In the Sound Element editor, select a sound sample from the Sound Element section. 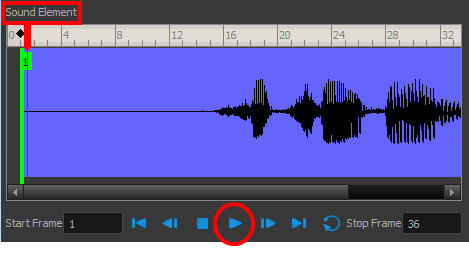 To distinguish one sound section from another on the same sound layer, check the frame numbers that appear on tabs flanking the start and stop lines of each waveform section.